Aside from all that wine I also ate a LOT of meat in the Okanagan... but vacation is over and IT'S SALAD TIME! 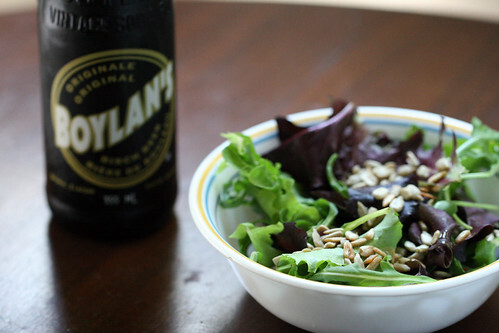 Also: some Boylan's birch beer and leftover carrot dill soup. I'll be updating about my trip later this weekend. In the meantime check out this awesome trip that my photographer friend Max is on! He is travelling across Canada shooting portraits of Canadians aged 1 to 100. My favourite part so far is the daily photo galleries. GO TEAM MAX!